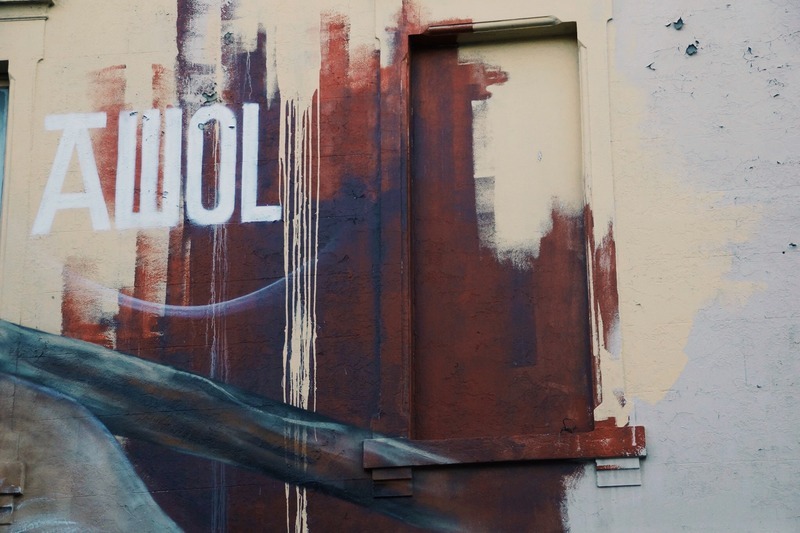 This mural is the work of Adnate, a member of the collective AWOL. 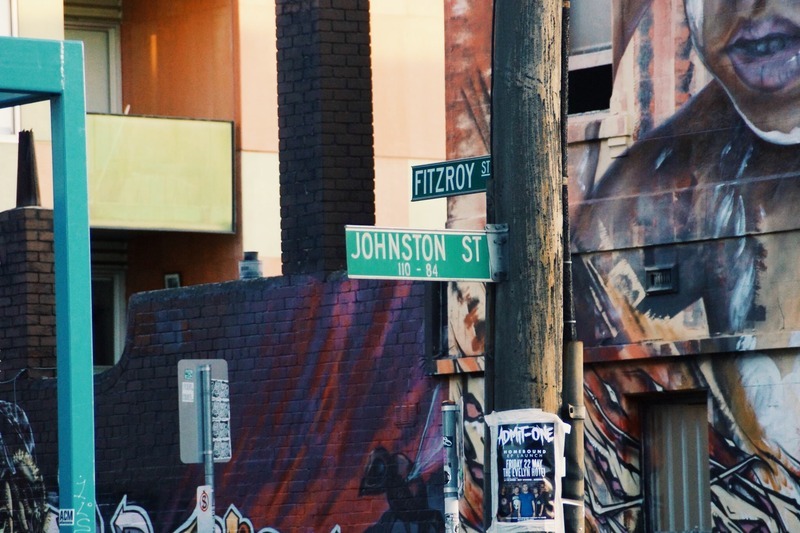 It shares stark similarities with his previous work insofar as it embodies the same theme and raises awareness of the same issues: those related to the representation of aboriginal people precisely in urban spaces, from which they have been excluded. 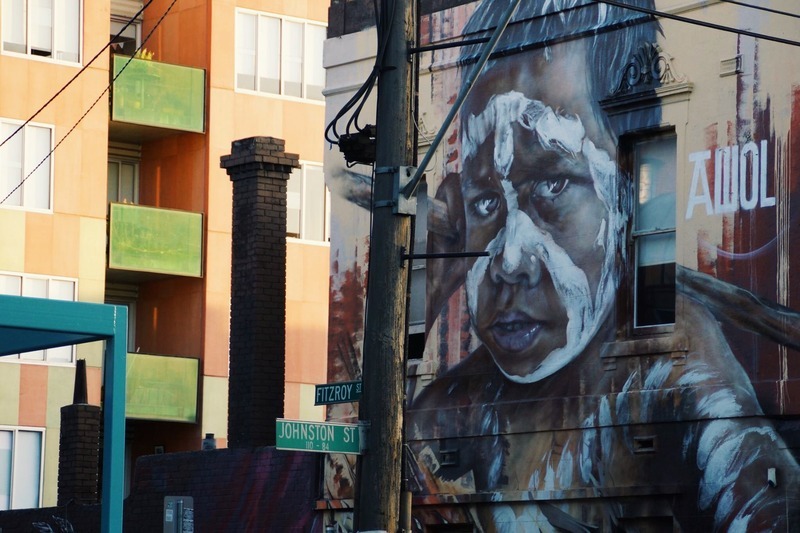 Adnate has commented on his own work saying: “The symbolism of this piece is undeniable; Australia has one of the most abominable track records in the world in regards to the historic treatment of its indigenous people. He goes on to say "I consider myself racist due to my own ignorance before I begun my research and connected with the people. As ‘Australians’, it’s incredible how little we know and understand what it is about. The stance of the boy is symbolic to the strength of their culture after everything they’ve been through." Initially I felt uncomfortable that a non-aboriginal person was responsible for this murals- cultural appropriation? Particularly that his work had been commissioned- raising the idea of the commodification and commercialization of street art. 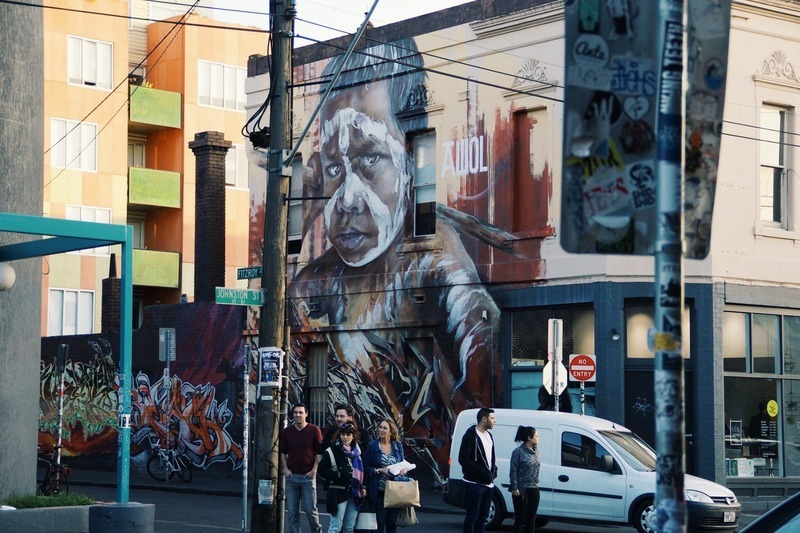 But upon doing my research, I discovered that Adnate spent time in indigenous communities and educated himself on the importance of the Fitzroy area to the Wurundjeri tribe, but still I wonder if anyone has taken offence to his work despite its positive message. “Stop 3.,” Street Art deTours, accessed April 20, 2019, http://streetartdetours.com/document/1070.